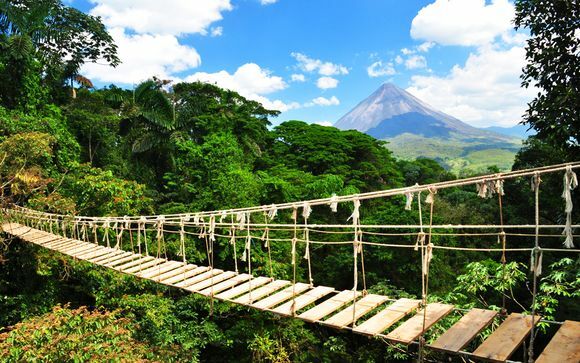 Great deals to Costa Rica up to -70% off To take advantage of these offers, join now for free! Great deals to Costa Rica, discover Central America! 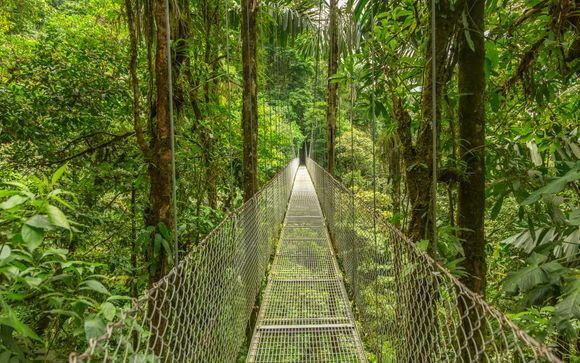 Find great deals to Costa Rica online with Voyage Prive; explore this magnificent country and experience its stunning coastlines and unique biodiversity. Costa Rica sits in Central America between Nicaragua and Panama. You have a variety of beautiful coastlines to choose from, either on the Caribbean Sea or the North Pacific Ocean, and none of them will disappoint any beach lover. San José is the capital city and the largest city of Costa Rica, situated in the Central Valley area. Enjoy the taste of the Caribbean and Mediterranean dishes in many superb restaurants dotted all over the city with our great deals to Costa Rica. Search for offers on luxury hotels in this area to get a real feel of Costa Rican life in a busy capital city. 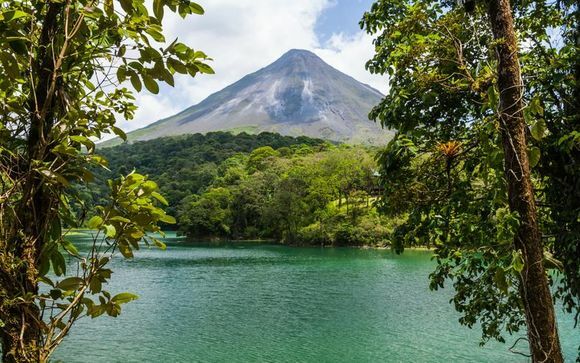 Costa Rica hosts a most stunning, diverse natural environment that must not be missed. Approximately quarter of the land is made up of protected rainforests, and is an absolute dream to any adventurer. So why not enter the rainforest, and encounter unique plants and animals you’ll see nowhere else in the world. If you want an action-packed trip to the forest, slide down a zip wire, take a hike or experience breathtaking views from an aerial tram. It’s also home to over sixty volcanoes, six of them active. So why not take a tour to Poás Volcano National park, located north of San José, and have an incredible active volcano experience. You can enjoy all of that with our great deals to Costa Rica. If you want to laze by the beach in the hot sun, great deals to Costa Rica will give you a range of amazing beaches to sit back and relax on. Wonder along the white sandy beaches of Sámara, sat on the North Pacific Ocean, where you can snorkel, surf and even catch a sighting of sea turtles! 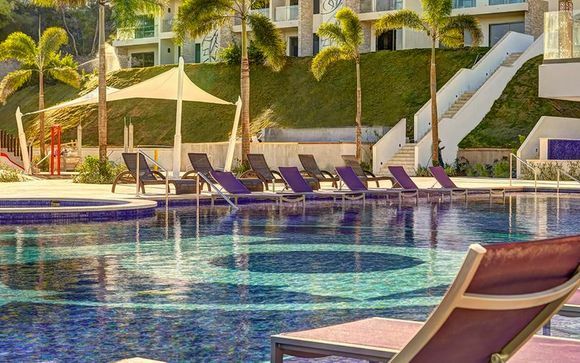 If you want a city with beautiful beaches and a dynamic nightlife, travel over to Jacó a resort city teeming with late night clubs to family resorts and activities. Whether you are looking for a family resort holiday, luxurious beach holiday or an adventurous, action-packed holiday through the rainforest, with our great deals to Costa Rica and carefully selected hotels, you will get the ultimate dream holiday that’s tailored to you. If you wish to browse what we have to offer, please sign up to our website. Never miss out on our limited deals again, by creating an alert so you’re notified of upcoming sales straight away.